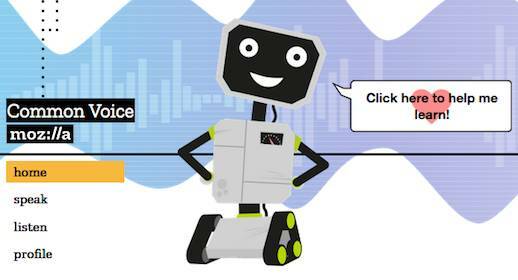 Mozilla has decided speech recognition should be open source, and has launched a project to achieve just that, Project Common Voice. What the browser builder wants, it says, is an open source data set for voice recognition apps. The open source community, Mozilla's Daniel Kessler writes, is the “next wave of innovators” – but with speech datasets locked up behind proprietary walls, they're left out. That also skews speech recognition to the most lucrative markets (English, Chinese and “a select group of languages”), whereas Mozilla hopes enough participants will let speakers of less-common languages talk to their browsers. And that's where the open data-gathering comes in: if you're interested, the Project Common Voice site lets users record their own voice (reading sentences to the system, starting for now with English), or review how accurately the software recognises other speakers.